Trees were central to Henry David Thoreau’s creativity as a writer, his work as a naturalist, his thought, and his inner life. His portraits of them were so perfect, it was as if he could see the sap flowing beneath their bark. When Thoreau wrote that the poet loves the pine tree as his own shadow in the air, he was speaking about himself. In short, he spoke their language. 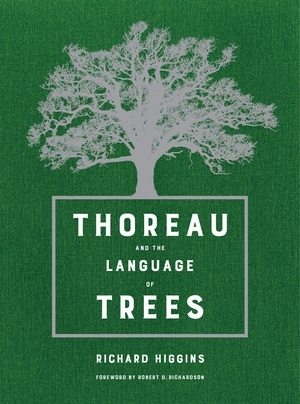 In this original book, Richard Higgins explores Thoreau’s deep connections to trees: his keen perception of them, the joy they gave him, the poetry he saw in them, his philosophical view of them, and how they fed his soul. 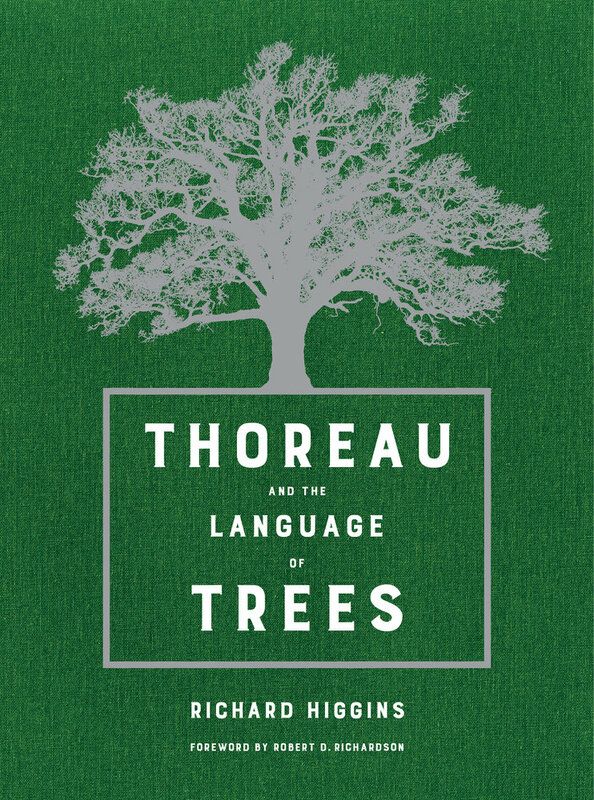 His lively essays show that trees were a thread connecting all parts of Thoreau’s being—heart, mind, and spirit. Included are one hundred excerpts from Thoreau’s writings about trees, paired with over sixty of the author’s photographs. Thoreau’s words are as vivid now as they were in 1890, when an English naturalist wrote that he was unusually able to “to preserve the flashing forest colors in unfading light.” Thoreau and the Language of Trees shows that Thoreau, with uncanny foresight, believed trees were essential to the preservation of the world. Richard Higgins is a former longtime staff writer for the Boston Globe, the coauthor of Portfolio Life: The New Path to Work, Purpose, and Passion after 50, and the coeditor of Taking Faith Seriously. His writing has appeared in numerous publications, including the New York Times, Atlantic Monthly, Christian Century, and Smithsonian. He lives in Concord, Massachusetts.